Charges More than “Chicken Stuff” for Jurors, LIBERTY, April 24, 2017 - On Friday April 21st, a Liberty County jury found one of their County Commissioners, Mike McCarty, guilty of two counts of Abuse of Official Capacity. Polk County District Attorney Lee Hon was appointed to serve as special prosecutor on the case at the request of the Liberty County D.A. who recused himself. Hon was assisted by assistant prosecutor Tommy Coleman. During the week-long trial, the jury heard evidence that McCarty utilized county employees and equipment for his personal benefit. Multiple witnesses, including elected officials such as the County Treasurer, Clerk, Purchasing Agent and a fellow County Commissioner testified in the case. Jurors heard that McCarty routinely dispatched his employees to go perform tasks during business hours involving a petroleum disposal well site and farming operation owned by McCarty. 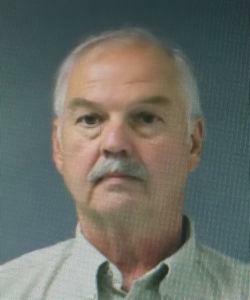 According to witnesses, McCarty and his employees used county trucks and trailers in the process, filled their personal vehicles with county-owned fuel and allowed at least one friend of McCarty to pick up a load of road-base material free of charge. County employees also performed repairs to McCarty’s personal vehicle despite the Commissioner receiving an annual vehicle allowance of $15,000.00, which was intended to cover such repairs. Furthermore, testimony suggested that McCarty directed employees to help set up for a friend’s birthday party and in perhaps the most egregious misuse, McCarty had a private road leading to his disposal well, graded by a county employee using a county-owned motor grader. The misconduct likely would have continued unabated had it not been for a former friend and employee of McCarty, who after having a falling-out with the Commissioner, visited the County Treasurer’s office to make arrangements for receiving his final paycheck from the county. The friend, Clair Gordon, had been hired as a contract employee by McCarty shortly after McCarty took office in 2013. In the course of the visit, Treasurer office employees learned of a scheme hatched by McCarty to pay Gordon for work he did at his farm and disposal well by allowing him to pad his hours with Liberty County. Despite McCarty’s plea of not guilty, hundreds of pages of documents introduced into evidence at trial indicated otherwise. The prosecution prepared a chart summarizing the payroll records of Gordon. The chart demonstrated that Gordon’s hours dramatically increased during the time frame in which Gordon testified the scheme took place. The case was investigated by the Texas Rangers and notably, two of McCarty’s employees lost their jobs shortly after they met with the Ranger investigating the case. McCarty, who testified in his defense, told the jury that the employees in question volunteered their time and that any use of county equipment was minimal and not done with criminal intent. His defense counsel went even further, arguing to the jury that the charges were “chicken stuff”. He made it clear the word “stuff” was a substitute for an expletive. The State’s lead prosecutor however has a different take. “The jury’s verdict sends a strong message regarding public corruption and that message is that misuse of government personnel and/or property, no matter how small, will not be tolerated,” Hon stated. In addition to the criminal penalty associated with the misdemeanor offenses, the convictions pave the way for McCarty’s removal from office pending the outcome of a possible appeal. Hon went on to extend special thanks to Texas Rangers Ryan Clendennen and Brandon Bess along with Polk County DA Investigator Glen Goodwin and the staff of the Liberty County District Attorney’s office.